An Australian mom thinks it’s time we spread some love and kindness. February may be the shortest month of the year, but that isn’t stopping one Australian mom from filling it up with tons of cheer. 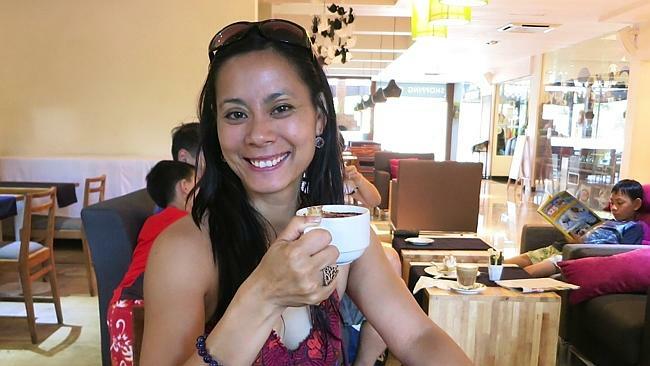 With all of the terrible things going on in the world, Linda Pang, a mother of two boys, wanted to show her kids how lucky they are and teach them about empathy and compassion. Taking a hands-on approach, Pang created a Facebook page called “Feel Good Feb” in the hopes of getting her children – and the rest of Australia – involved. To start off, Pang bought 28 canvases – one for each day in February. Her family has been painting on them and leaving them in public spaces with a little note attached saying, “If you like me and think I could brighten up your home, please feel free to take me,” along with a link to the Facebook page so the news can spread. Currently the page has over 400 likes and is riddled with feel good tales and photos. “A friend of mine picked up her daughter from Sydney airport yesterday and when she tried to pay for her parking it was already paid!!! She is putting it down to a random act of kindness brought on by Feel Good Feb,” said one fan. Now, you don’t have to be living in Australia to commit a daily feel good act this month. Not sure what you can do? Pang has some suggestions for you. There you have it, folks. Time to go out and do some good.